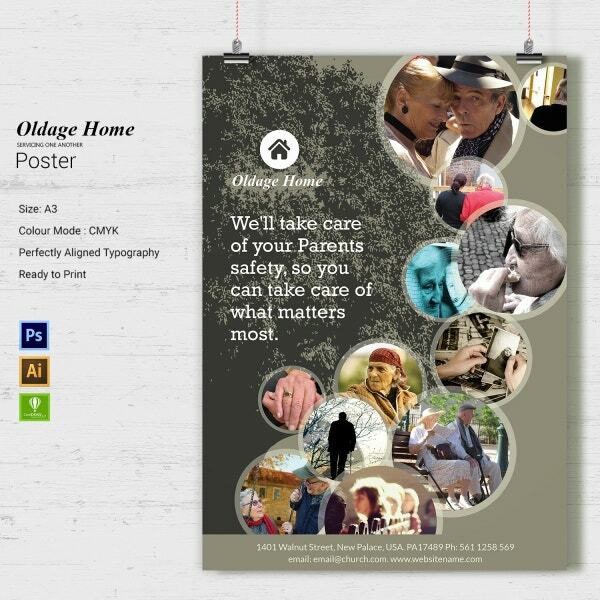 If you own an old age home and want to advertise it then you should go for these templates as specified below. Here you will gets loads of options to go for – banner, posters, postcards, brochures and many other things. 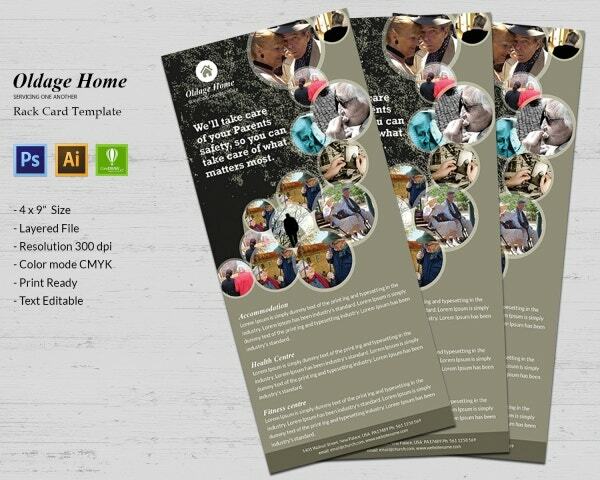 These artworks have been created by keeping the nature of the content in mind and you will surely end up loving these old age home templates. So what are you waiting for? Select the one you need and start working on it. You can also see Homemade Coupon Templates. This particular template comes with design formats that can be easily edited using Photoshop, Corel Draw or Illustrator. All you need to do is edit the fonts and the images when required and give it a design of your own. The file being of CMYK mode can be printed at ease. 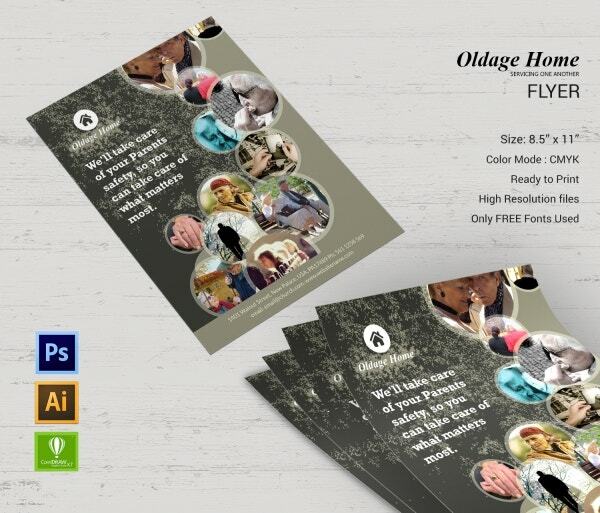 If you are planning to distribute brochures amongst people who would want to join your old age home in the near future then you can opt for this design. This template comes in layered format and is easily editable as per your needs. All you need to do is edit it either using Photoshop or Illustrator and Corel Draw. 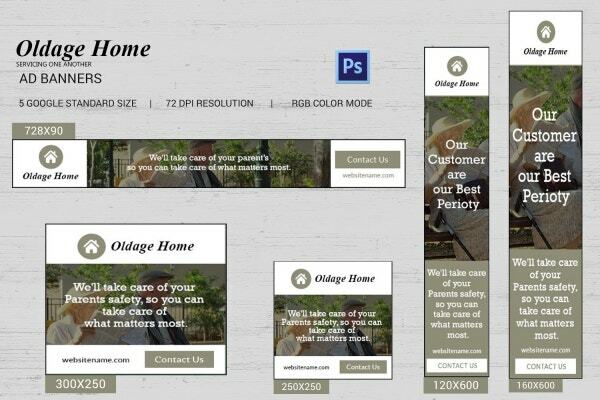 This particular template comprises of banner formats of 5 different sizes. They vary from 728 x 90 to that of 160 x 600. You can easily insert your logo at the top, a picture of your organization in the middle, some information beneath and the contact details at the end. Now you can showcase your organization on a billboard. This will not only make your brand famous but easily approachable to a large mass of audience. 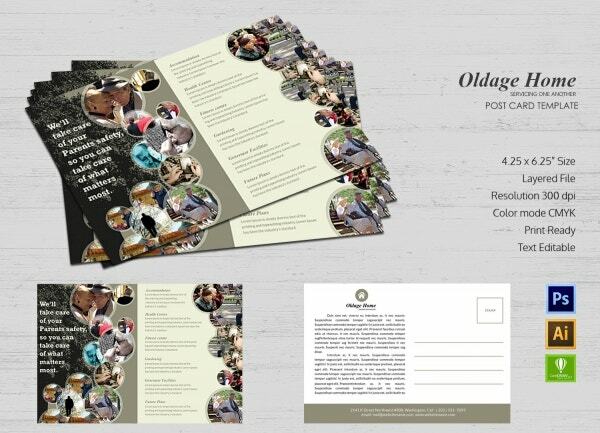 This template comes of 12 x 6 inches size and can be edited at ease with different sorts of texts and made print ready. 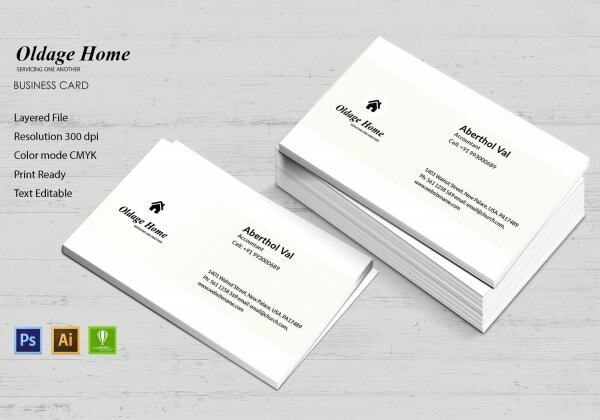 Your company if established should need business cards. You can make some for your own and for some of your employees as well. Go for this template and edit the file with your logo in the left and some textual information at the right. Print it at ease as the file has a CMYK color mode. Now you can make eBooks which will comprise of details of your company and different stories of the people who stays in your old age home. In order to do that you need to make up your mind regarding the cover design. 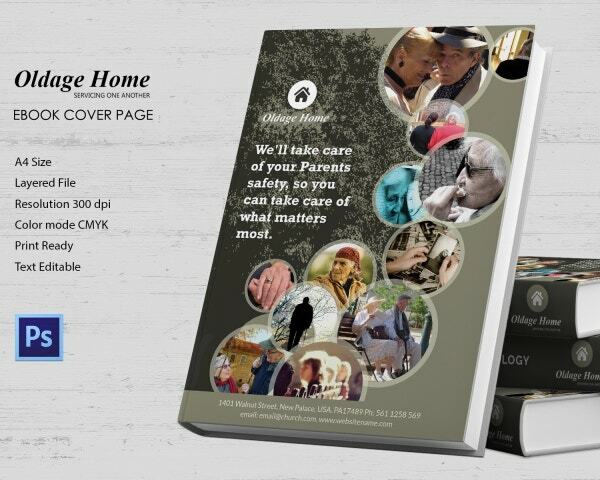 You can follow this template and create an extraordinary cover page. This sleek and slender looking template is bound to impress you. 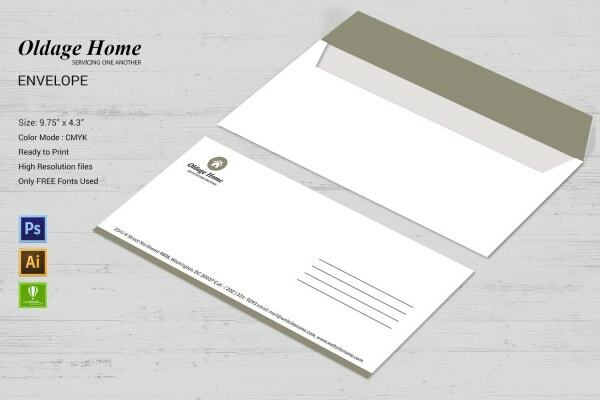 You can use such customized envelopes to send newsletters or other sorts of mails to your clients. They will surely adore it. This particular file comes of 9.75 x 4.3 inches and can be edited and printed at ease. 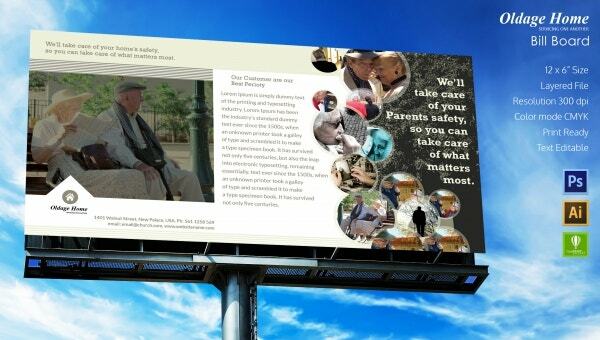 Flyers do act as a very strong marketing tool if you want others to know about your existing old age home. Do go for this template as you can easily edit it using Photoshop, illustrator or Corel Draw. Print it out of good quality A4 size papers and distribute wherever possible. 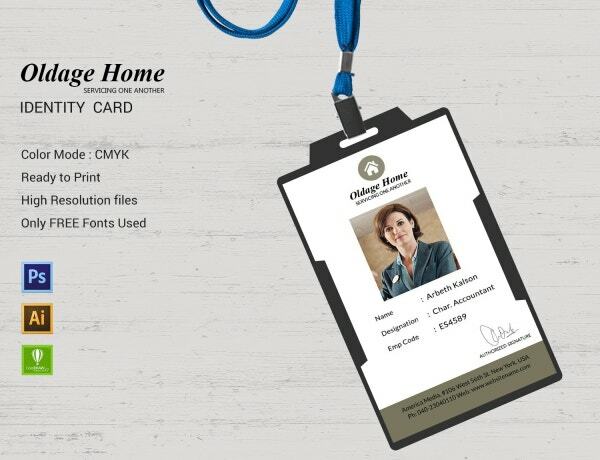 Identity card will not only help you in recognizing your employees but also create a sense of uniformity. All you need to do is use this template to fill in your employee’s name, address, designation and company code; also insert a picture of his or her and then you are good to go. As it is known to us all that creating an invoice for an old age home requires a lot of hard work and can be tiresome at times. So do not worry. 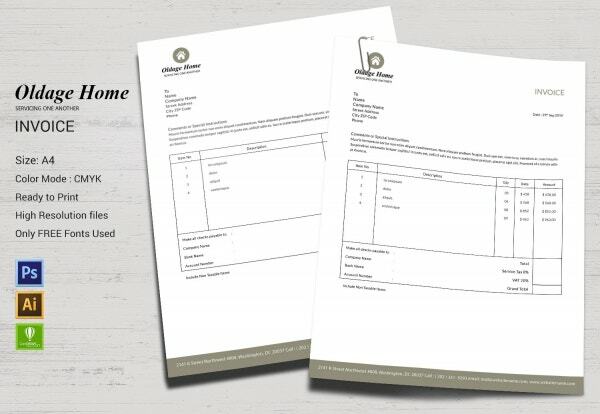 All you need to do is use this very simple and sleek looking template to create your invoice. The format contains very crisp and clear headings ad per your requirement and you can edit it at ease. 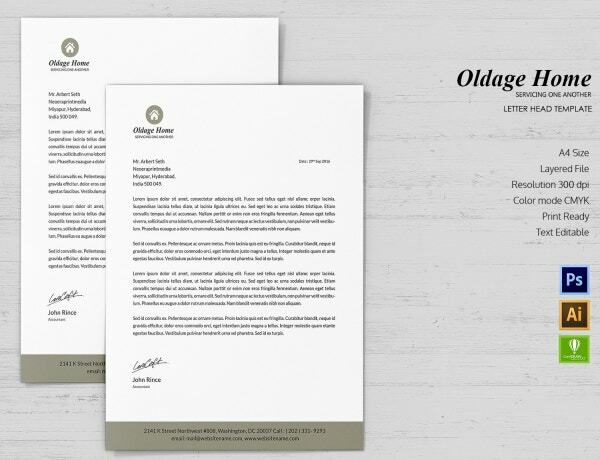 Your company be it a big one or a small one should always have company based letterheads. If you are wondering how to get one then worry not. Use this template. All you need to do is add the logo at the top left hand corner and fill in the bottom bar with your company’s address and contact details. You can see that this particular template comprises of texts more than image content. 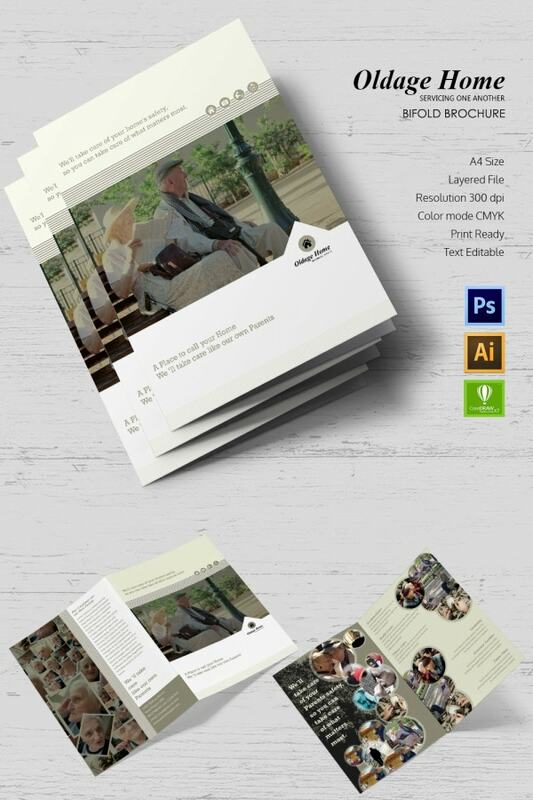 You can use such a file to create post cards for your old age home. You can fill it up with details about your organization and the services that it provides. Edit it at ease using Photoshop, illustrator or Corel Draw. Look at this template; it contains less of texts and more of pictures in the form of circular thumbnails. You can use this particular file to create your own set of posters. All you need to do is put the logo and some details about the company at the left side and add some pictures of your home on the left in a nice and decorative way. Cards that people pick up from a rack are easy to distribute and it will help others to know about their organization. You can get them printed in sizes of 4 x 9 inches. All you need to do is edit this template using Photoshop, Illustrator or Corel Draw and print it at ease since the color code of the file is CMYK. Approaching a very large group of audience and especially the correct group of audience is very important. You can do it by accessing your company owned social media sites. These templates as you can see will help you to create amazing cover pictures for your Twitter, Facebook and YouTube accounts. All you need to do is edit them on Photoshop.